Cheollima Civil Defence (CCD), a North Korean political dissident group, is going to issue blockchain-based visas for entering the country after its liberation, CoinTelegraph reported. The visas will be issued in the form of non-fungible ERC-721 tokens, called G-VISA, on the Ethereum blockchain. According to the details, the registration cost is 1 ETH per visa for the first 1000 visas. 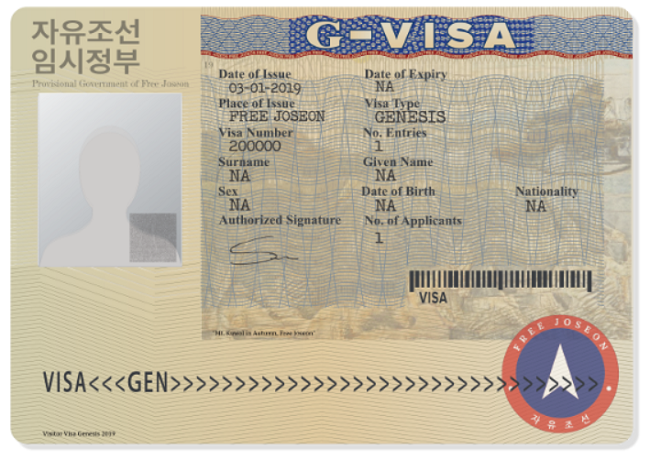 Each G-VISA has a 45-day stay and is allowed one entry. All the visas will expire on March 1, 2029. Importantly, there is no individual limit for the number of G-VISAs purchased, meaning that an individual can purchase an unlimited number of visas to enter the country multiple times. The person, however, would be subject to the relevant customs and port of entry restrictions. “Each G-VISA is assigned an incrementing ID Number in the order it was purchased for example Visa #1, Visa #2, Visa #3. A specific number cannot be requested although it may be available on OpenSea.io or other ERC-721 marketplaces. The issuance ID number is permanent and unique to each G-VISA,” the description reads. The visa issuance process will kick off on March 24. However, five G-VISAs have already been listed on OpenSea, while the page dedicated to the token on Etherscan shows that a total of 7 G-VISAs currently exist. The CCD is said to be behind a raid on Pyongyang’s embassy in Madrid last month, SCMP reported. In an online post dated March 20, the group appealed to the press to keep their identities confidential. “Please do not forget the kind of ruthless regime we are up against - and that is also imprisoned journalists as political pawns. They have no respect for international norms. The struggle we are engaged in with the incumbent regime is not a political race between equals, but a small revolutionary group, fighting and resisting on the line, against a totalitarian regime that maintains concentration camps, keeps its people enslaved, and regularly kills its opponents and their families,” it said.